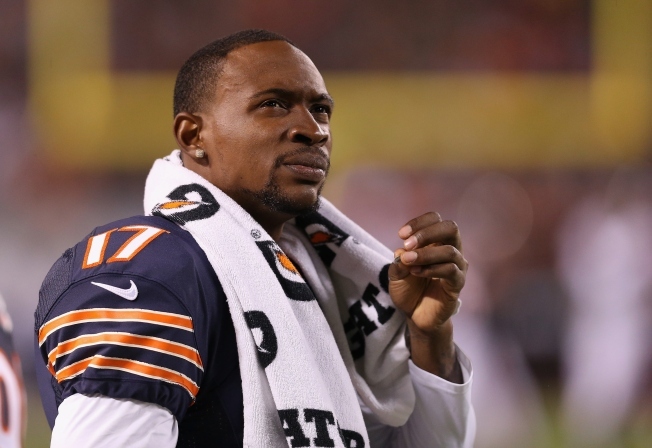 Chicago Bears wide receiver Alshon Jeffery has been suspended four games by the NFL for violating the league's policy on performance enhancing drugs, it was revealed Monday. The suspension will begin immediately and Jeffery will not be eligible to return until after the Bears play the Detroit Lions on Dec. 11. It is the first of Jeffery's career. "As a professional athlete, I have been careful about what I put in my body," Jeffery said in a statement Monday. "I took a recommended supplement to combat inflammation. Unfortunately this supplement contained an ingredient that was on the NFL’s banned substance list. I take full responsibility and I'm deeply upset with myself for not doing the proper research on this supplement. I want to apologize to my family, the Bears organization, my teammates, and Bears fans. I will work hard to earn back the respect and trust of the Bears nation and look forward to being back on the field." Jeffery, who is currently playing under the franchise tag with the Bears, will lose out on approximately $3.4 million in salary during his suspension, and there is a strong possibility that the suspension could also put a dent in the money that he will be seeking in a new contract after the season. The Bears can still place the franchise tag on Jeffery again, but it has not been announced what they intend to do with the receiver after the season.